Step 1: Understand the credit scoring. 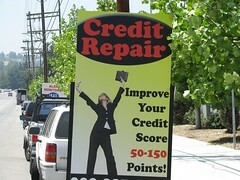 The first step to improving your credit score is to understand what the score is all about. Your credit score is usually given to you in the form of a credit report. The credit report includes information on your credit history, bills payment history, outstanding debt, as well as the number, types, and age of the accounts that you have. The creditor uses this information to determine how capable you are of handling your credit finances. Remember, different companies usually have different types of credit scoring systems, so try to learn as much as you can about the companies you deal with and the type of system they use. Step 2: Pay your bills and deal with debt. The simpler ways to improve your credit score are to pay your bills on time and minimize your debt. Late and missed payments as well as credit debts all have a negative impact on your credit score. Make sure to keep yourself updated on your debts and your payment dates so that you make timely payments and eliminate or lessen your debt. Step 3: Learn more about your credit history. Your credit history plays a significant role in your credit score. A long-standing credit history is likely to have a good impact on your credit score because creditors can extract more information from a long-standing account. Also, while it can be good to have multiple accounts to help you balance your credit, having too many accounts can affect your score negatively. Remember to choose one or two good creditors that you are happy with and try to build up a good, long credit history with these companies to improve your score. When you want to get the most for your money, it’s important to understand the ins and outs of finance. With the financial crisis still looming, a lot of people have had to rethink how they deal with their finances, especially when it comes to credit. By educating yourself about your credit score and by taking the necessary steps to improve your credit score, you can be enjoying better terms and better deals in no time–all of which will help you improve your financial state.